Now the Bruce C. Bolling Municipal Building, named for the late Boston City Council President Bruce Bolling, the masonry structure that sits on the corner of Warren and Washington streets, was once central to bustling Dudley Square. Sitting at the geographic center of the city of Boston, Dudley Square was home to waves of European immigrants and African-Americans in the first half of the 20th century. The streetcar suburb supported a diverse community, and the Ferdinand Building, home to a large furniture retailer, stood as a beacon at its center. However, as seen in cities around the country, the mid-20th century brought about the golden age of the suburbs, and as the Dudley Square community fled the city for homes in the suburbs, its buildings, one by one, became vacant and unused. The late Mayor Thomas M. Menino was instrumental in focusing efforts for revitalization to the Dudley Square neighborhood, and the renovation of the Ferdinand Building into municipal space. Built in the 1880s, the triangular Baroque and Renaissance Revival structure’s historic masonry façade was saved from demolition and supported by steel framing as the new 150,000 square foot municipal center was constructed behind it. Before demolition began, M&A was contacted to salvage the existing entryway millwork, consisting of exterior and interior casings, sidelites, jambs, and beadboard. 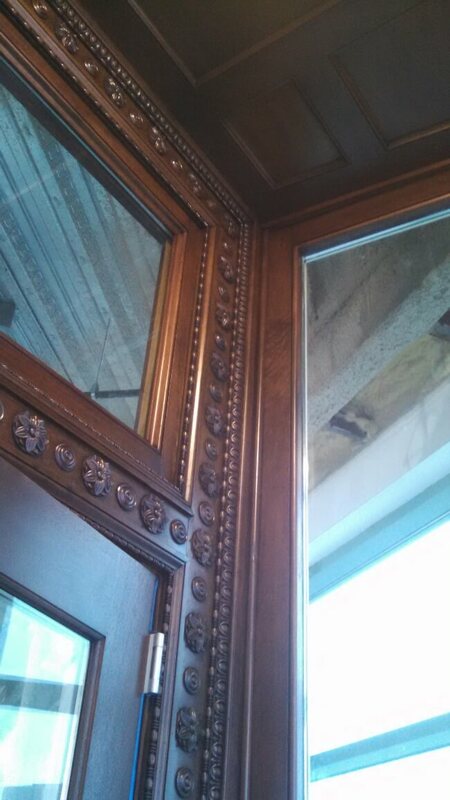 The historic millwork was comprised of delicately hand-carved rosettes, spool and bead, and egg and dart designs. 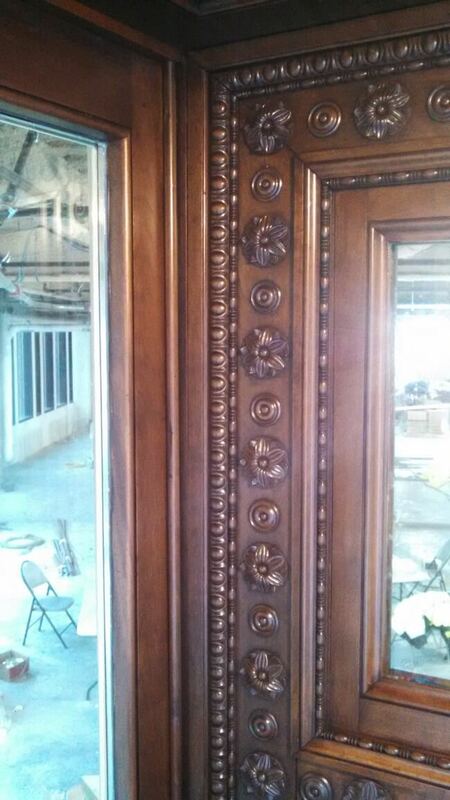 During construction of the new building, M&A restored the existing salvaged elements. 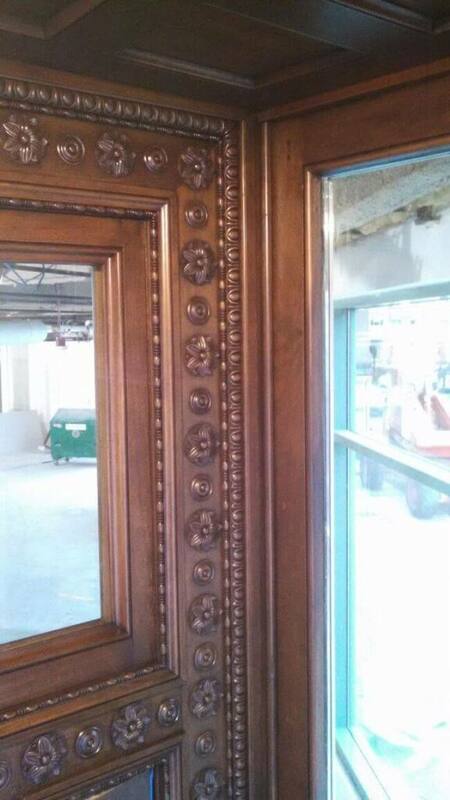 Exact hand-carved replicas of the rosettes and spool and bead trim were fabricated and inserted where originals were damaged or missing. 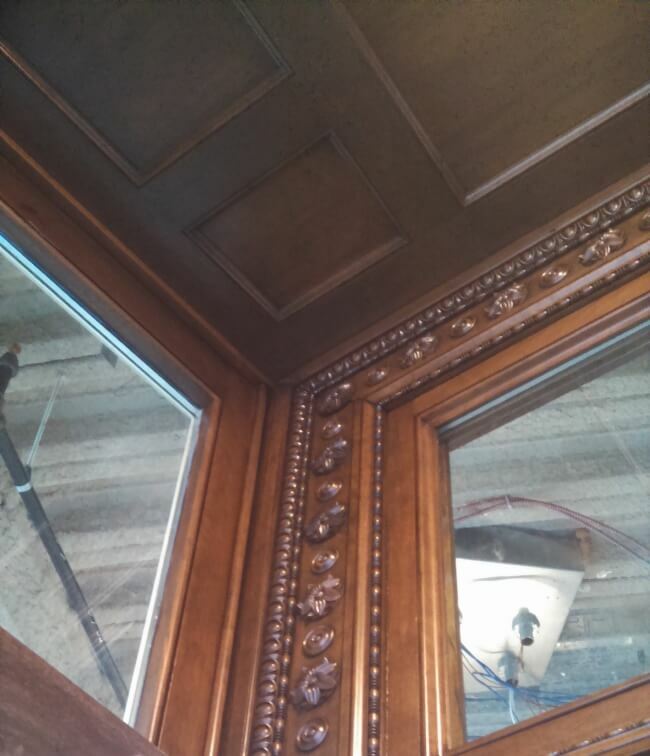 New ceiling and coffered entry panels were fabricated to replicate historic millwork and incorporated and installed along with the salvaged and restored components once construction on the new building was completed. The project has received multiple awards, including the Preservation Massachusetts Inaugural Mayor Thomas M. Menino Award, which is award to preservation projects that “are transformative, catalytic, embrace the community, create partnerships, and revitalize the best of the past to make something good for the future” (Preservation Massachusetts). The restored entryway into the Bruce C. Bolling Municipal Building serves as a reminder of Dudley Square’s vibrant past and promising future.